By Melissa Lennig on January 7, 2016 3 Comments. This content contains affiliate links. As an Amazon Associate I earn from qualifying purchases. 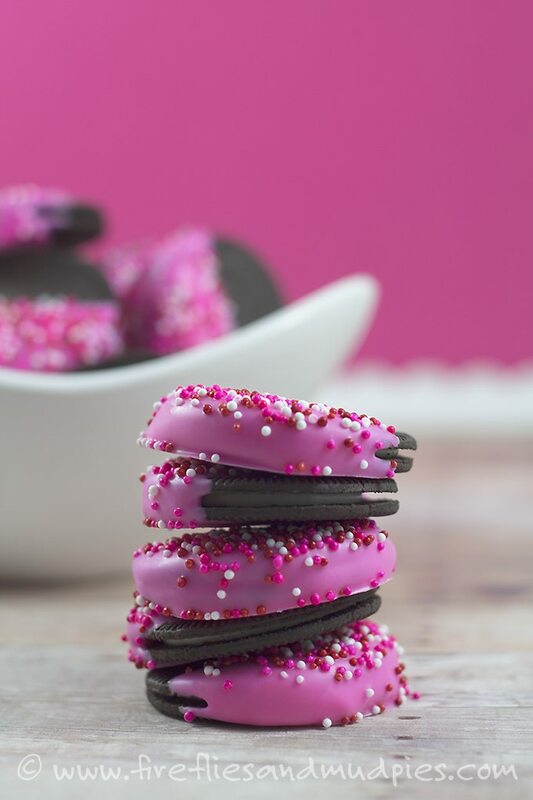 Candy dipped Oreos have become a seasonal tradition around here! My children are delighted by the vibrant colors and sprinkles. 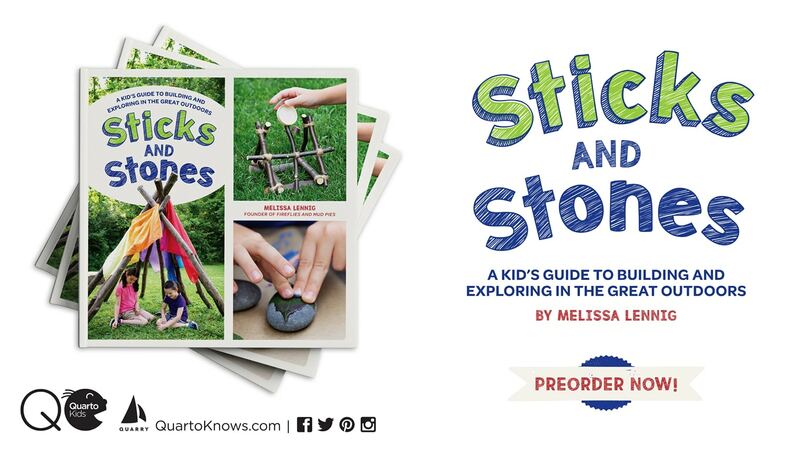 They love to discover a special Oreo cookie tucked into their lunchbox or on the table with a glass of milk as an after school treat. I love that they can be prepared in under 30 minutes and only dirty 1 dish! 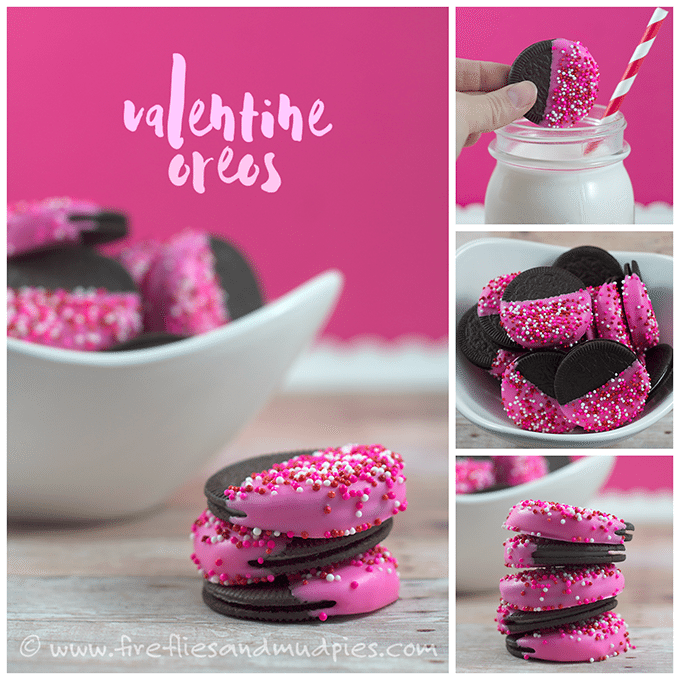 Delight your family with this super sweet Valentine treat! Dip the Oreo Thins halfway into the melted candy. Allow excess to drip off. 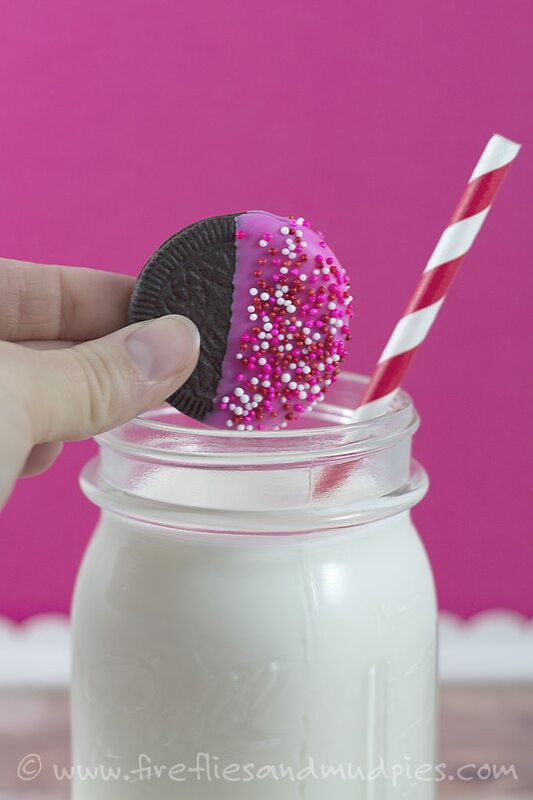 Place the dipped Oreo onto the parchment paper. 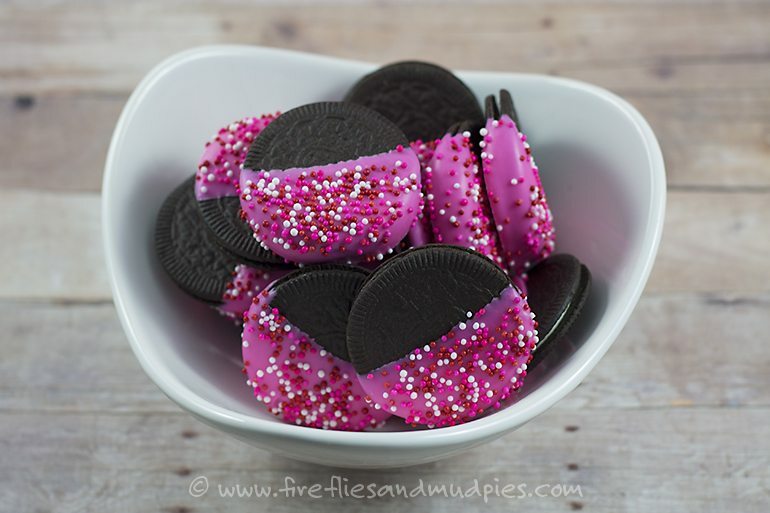 Scatter sprinkles over the Oreos while the candy is still melted. I usually dip 4–5 in a row, then do sprinkles. Candy Melts harden surprisingly fast! 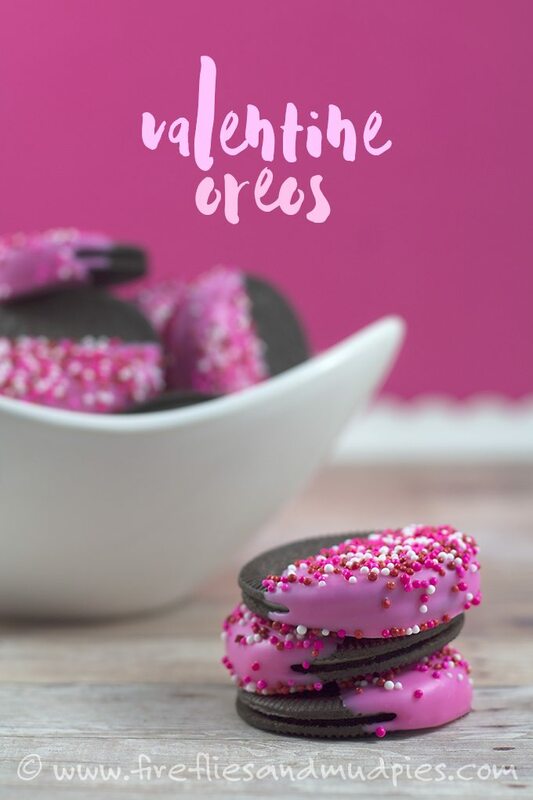 Valentine Oreos are fun to gift to teachers and neighbors! Simply slide them into a cute box or bag and attach a Valentine gift tag! Follow my Valentine’s Day board on Pinterest for treats, activities, games, and printable Valentine cards! These looks so pretty! wait, can cookies look pretty? I can’t believe Valentines day is a month a way. Thanks for the idea Melissa.